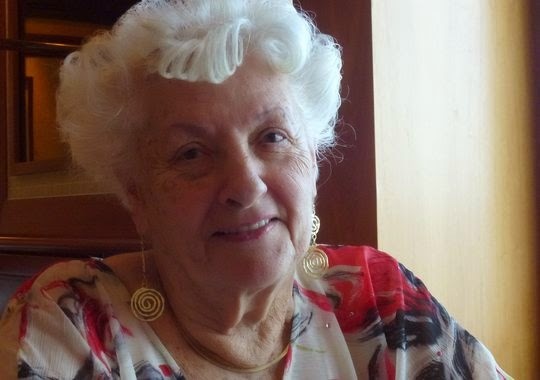 Lee Wachtstetter, an 86-year-old Florida widow, took her daughter's advice. She sold her five bedroom Fort Lauderdale area home on 10 acres and became a permanent luxury cruise ship resident after her husband died. Mama Lee, as she's known aboard the 11-year-old Crystal Serenity, has been living on the 1,070-passenger vessel longer than most of its 655 crew members — nearly seven years. "My husband introduced me to cruising," she recalled. "Mason was a banker and real estate appraiser and taught me to love cruising. During our 50-year marriage we did 89 cruises. I've done nearly a hundred more and 15 world cruises." How many visited countries does that add up to? "I stopped counting after 100." she said. "Just say I've been to almost any country that has a port." Most interesting have been the nations in Asia, she observed, because they're so different from America. She rarely bothers going ashore nowadays because she's most likely already been there several times. "And when most everybody goes ashore it's so quiet, and I have almost the whole ship for myself." Istanbul is an exception, though. "I can't resist the Grand Bazaar," Wachstetter said. "You can find gorgeously regal or glitzy outfits there, perfect for formal or casual wear and not terribly expensive. I have to restrain myself every time because of my limited cabin space." What she misses most is her family, but manages to keep in touch with her three sons and seven grandchildren with her laptop computer. "I hear from one of them everyday, and visit with them whenever we dock in Miami. Last year we docked in Miami five times." Her daughter has since passed away, and so have all her close friends in the Fort Lauderdale area, she said. "When my children were all young, I took them on cruises many times. Now they have families of their own and do what's right for them. "The day before my husband died of cancer in 1997, he told me, 'Don't stop cruising.' So here I am today living a stress-free, fairy-tale life." She estimates living the good life on the Serenity this year will cost her $164,000. That'll cover costs of her single-occupancy seventh deck stateroom, regular and specialty restaurant meals with available lunch and dinner beverages, gratuities, nightly ballroom dancing with dance hosts and Broadway-caliber entertainment — as well as the captain's frequent cocktail parties, movies, lectures, plus other scheduled daily activities. Crystal Cruise Line's reputation and its availability of dance hosts for passengers traveling alone are what sold her on the Crystal Serenity. 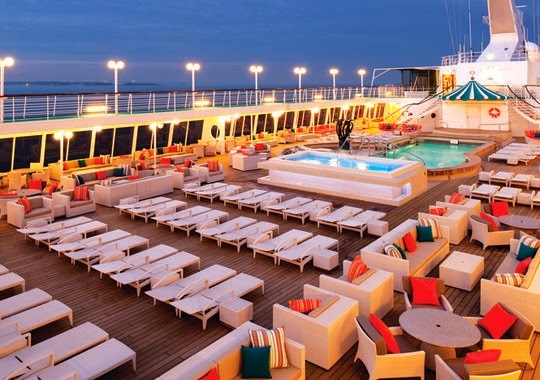 Readers of Travel and Leisure and Conde Nast Traveler magazine almost annually vote it the world's best cruise line, and the Serenity is the newer of the Japanese-owned cruise line's two ships. "I enjoy dancing, and this was the best of the remaining ships that still use dance hosts," Mama Lee explained. "My husband didn't dance, just didn't like to, and encouraged me to dance with the hosts. "Before coming aboard this ship I lived on a Holland America liner for three years. The day they announced they were stopping the dance host program was the day I decided to leave. "I dance every night for a couple hours after dinner, have been doing it for years. And I've also trained with the ship's dance instructors." As for dinner, she said, "I do love to eat and regularly dine at a table for eight. You meet interesting passengers, and I've made lots of new friends that way." She's put on 25 pounds since coming on board, she confides, and has been on a fruit and vegetable liquid diet, trying to shed them. "I'm happy to say I have only 10 more pounds to lose." she laughed. Most days Mama Lee can be found in the Palm Court lounge doing needlepoint work. "It's my second love, have been doing it for 50 years. I've even helped teach it to some passengers. Everything I make I give to crew members. Gives me great pleasure. "The crew members bend over backwards to keep me happy. Some are almost like family now. If they don't have what I want, they get it. even if they have to buy it off the ship or make it to my specific needs." She pointed to a framed cushion wall hanging in her stateroom that holds dozens of her earrings. "Unique, isn't it? A crew member made it," she said. Looking forward to her 87th birthday and seventh year aboard the Serenity, Wachtstetter, a former registered nurse, credits a good immune system for being able to steer clear of doctor offices. "All the time I've been here I have never had a sick day," she said. "I'm so spoiled I doubt that I would ever be able to readjust to the real world again." Three other women live on Crystal vessels but none nearly as long as Mama Lee, according to Hubert Buelacher, Serenity's hotel director. "She's just an amazing woman, one of a kind."